In traditional media there has always been a clear division between genres. Patrons of artistic cinema scoff at raunchy comedies, whose viewers label the former “boring” or “serious”. There is the occasional work that muddies the separation and blends audiences. Aziz Ansari has changed the game with Master of None, a comedy series tackling taboo subjects in an artistic and cinematic form. There is no single conceivable audience for this show, as it is so far reaching. The comedy and relatability driving the story forward attracts repeat viewers, while movie buffs and film snobs alike can find value in the cinematography and episodic layout. Ansari is a writer and director for much of the series, but he also plays Dev Shah, a man juggling career, family, and love in New York City. 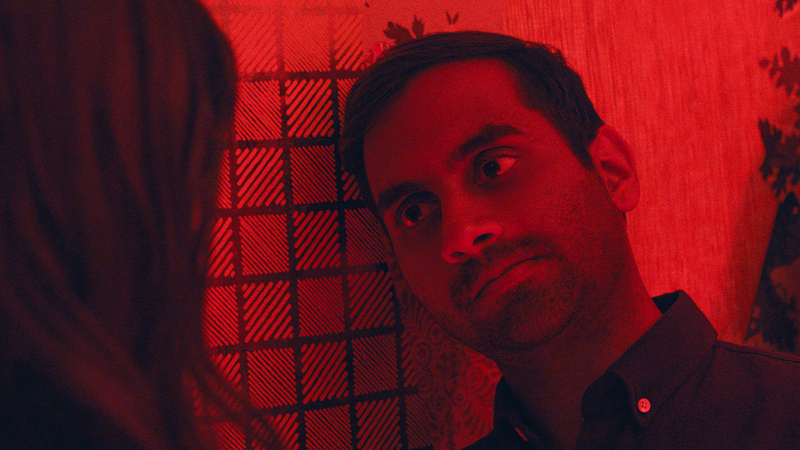 Considering much of the influence of the storyline comes from Ansari’s own experiences, Master of None presents a unique and untapped discussion in each episode. “Indians on TV,” a shining pick from season one examines the stereotypes placed on Indians by the media, showing Dev being asked to do an accent at an audition for the role of a cab driver, or discussing white actors “darkening up” to play Indian roles rather than casting Indian actors. A frustrated Dev maintains that in the media, we never see Indian men “getting the girls” or playing the sexual or romantic roles. That underrepresentation is not perpetuated in this series, and by the end of season two Dev finds himself in the throws of romance and emotion. In season one, each of the ten episodes was centered around issues like generational divides, sexism, being “the other woman”, and moving in with a significant other. The newest season continues to tackle subjects like breaking religious tradition in families, what it means to be gay as a black woman, and how dating apps have changed dating as a whole. That said, season two feels less episodic and more connected to a central storyline with the relationship between Ansari’s Dev and Alessandra Mastronardi’s Francesca, the engaged Italian beauty he befriended while attempting to explore himself in Italy post season one breakup. Through some of the most realistically romantic montages ever shot, and a kiss through a glass door inspired by the Michelangelo Antonioni film, the two find themselves in a modern forbidden love. For those who feel the need to separate comedians and dramatic actors, prepare for the inner turmoil. Aziz Ansari spends twenty episodes cracking witty jokes and showing a bit of that Tom Haverford flair, but it is in the deepest emotional moments that his best work can be seen. “Amarsi un Po,” an extended episode completely written and directed by Ansari is packed with romance, emotion, and stellar performances. Dev’s mini heartbreak montage following the fight with Francesca in “Buona Notte” could be my favorite moment of the entire series. The final moment of “Buona Notte” is what has everyone buzzing. Clearly the final two second shot of Dev and Francesca in bed together is not a flashback. Different outfits, and the absence of an engagement ring on her finger negate that theory immediately. However, the format and filming of this show has been far too creative for me to believe that they leave us with a simple flash-forward. To me, this blip of a moment is a thing that is open to the viewers interpretation and imagination. I love the uncertainty and ambiguity of the ending, of not knowing whether we saw a fantasy or a reality. The reality in that final scene was a beautiful note to end on, even if it was a dreamy fantasy. The dark hues and the somber expressions they wear depict that choosing their relationship is not running away in romantic bliss, it would be a scary decision that would hurt people and change lives. While choosing not to be together, may do that same thing. The romantic montages and flirty text messages quickly morphed into the double edged sword of reality, and that ambiguous blip of imagination may be better than the truth. Many see the ending as a Before Sunset test, which weeds out the romantics from the cynics based on the viewers interpretation of the ending. I believe that a season three would see Dev and Francesca together in New York City, but there has yet to be a confirmation on a third season and if that never comes, then that quiet moment will be seen as a beautiful way to end the series. Master of None is an inventive show that blends comedy, drama, and the artistic forms of film in a way that isn’t often seen on television. I always give credit to Netflix for housing cutting edge shows like this that may not have seen airtime on traditional television, but the true golden piece of this puzzle is Aziz Ansari. He is a young powerhouse of creativity and social knowledge, with the ability to harness the two together. He has previously written a book titled Modern Romance, discussing dating in the current social environment with the evolution of social media. He has multiple celebrated standup specials, including Aziz Ansari: Live at Madison Square Garden which can be seen on Netflix. The point is, whether it is Master of None season three, another book, or a feature film, I’ll be there for it.